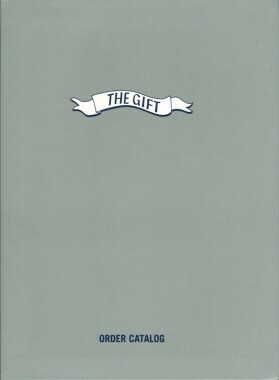 Christian Jankowski — Textfield, Inc.
A spoof on the format of SkyMall shopping magazine or any 1-800 mail-order catalog, The Gift is a survey catalog of the works of artist Eduardo Sarabia, (born in 1976) published to accompany his installation contribution to the 2008 Whitney Biennial of the same name. The installation consisted of a storeroom neatly packed with objects such as mermaid tails, horse heads, banana boxes and decorated Chinese vases-replicas of each of the artist’s works to date. 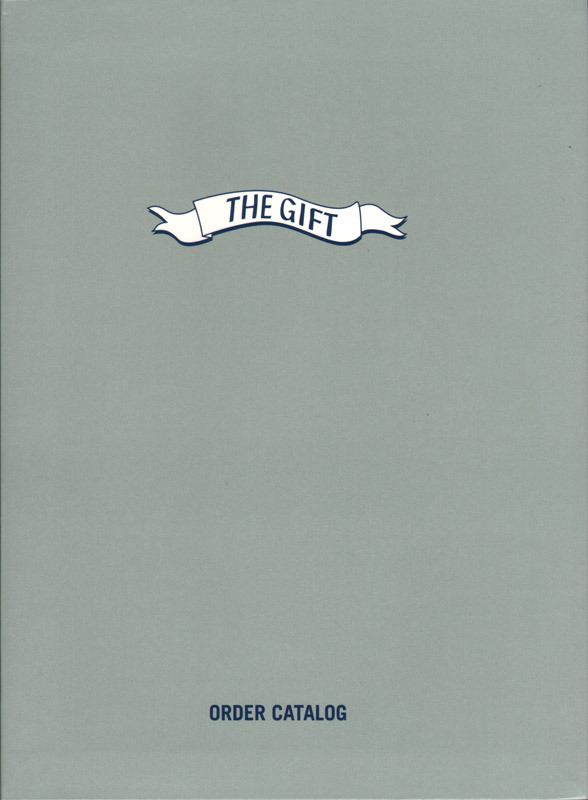 For each item included in the catalogue, Sarabia invited a writer, artist, curator or critic to create a brief speculative description of it from his or her own unique perspective.